1983 - an unforgettable summer of rebellion, first love and shared secrets for four teenage friends and ABBA fans. Three decades on, and much has changed . . . Devoted wife and mother-of-two Maggie Corcoran can barely recall the freedom of those halcyon days, as she comes to terms with some life-shattering news - alone. Reclusive ex-pop star Daniel Smith is reluctantly back in the super trouper limelight, and problems close to home are challenging his desperate need to hide away.Dee, now a successful business woman, has come a long way since her wild youth. But while she's very bit a force to be reckoned with in the boardroom, her marriage tells a different story.And for the once shy and retiring Charlie, life has changed in ways the four could never have imagined. 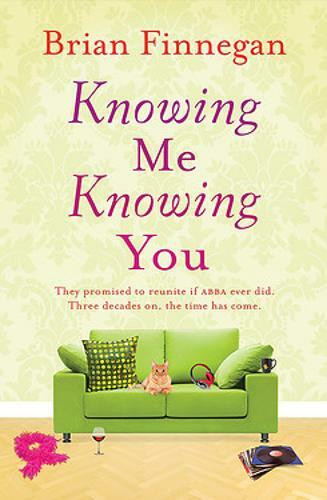 But personal happiness has come at a heart-breaking price.When Maggie decides to reform the old crowd for an ABBA reunion concert in Stockholm, old memories are reawakened, good and bad. And each discovers that to lay the past to rest, sometimes you've got to take a chance on the future . . .